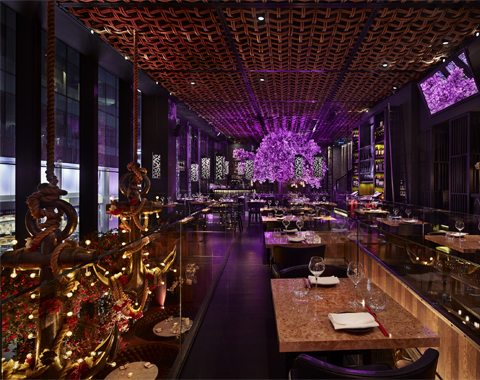 Tattu Restaurant & Bar offers diners a culinary experience like no other in the city. Located on Gartside Street, the restaurant’s menu embraces traditional Asian flavours and delivers contemporary Chinese cuisine using distinctive flavour combinations and stunning presentation, served in exquisite surroundings. The 150-cover restaurant is located over two floors with intimate table and booth seating for guests, perfect for both social occasions and corporate entertaining. The unique cosmopolitan interior invites guests on a journey inspired by the history of body art and celebrates the unique art form that it is today. 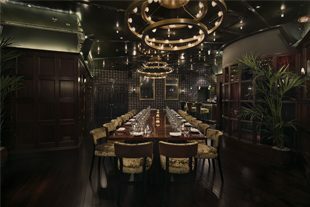 Tattu also has an opulent private dining room, The Parlour, which is exclusive in every sense and perfect for special occasions, functions and events. The room seats up to 40 guests for a dining experience, or up to 100 for a reception and is serviced by a private entrance, bar and performance booth, with a variety of live entertainment that can be tailored to suit any event. Tattu’s impressive bar is the ideal place to relax and unwind or start your evening in style, with intimate booth seating adorned by a delicate Rose Garden that has an open view to the restaurant above. You’ll be spoilt for choice with the unique cocktail menu, each serve inspired by body artists from around the world, or enjoy a glass from the handpicked wine menu. Bar tables and booths are available to reserve upon request. 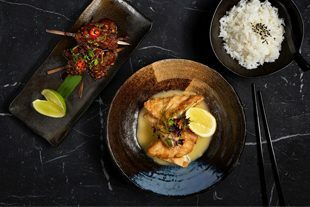 A unique lunchtime or early evening express-style menu, featuring a selection of the restaurant’s best-selling small plates from £22.50.